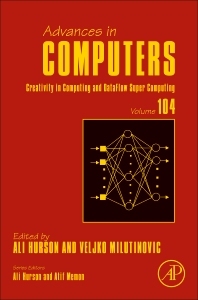 Creativity in Computing and DataFlow Supercomputing, the latest release in the Advances in Computers series published since 1960, presents detailed coverage of innovations in computer hardware, software, theory, design, and applications. In addition, it provides contributors with a medium in which they can explore topics in greater depth and breadth than journal articles typically allow. As a result, many articles have become standard references that continue to be of significant, lasting value in this rapidly expanding field. Prof. Veljko Milutinovic received his PhD from the University of Belgrade, spent about a decade on various faculty positions in the USA (mostly at Purdue University), and was a co-designer of the DARPA's first GaAs RISC microprocessor. Later he taught and conducted research at the University of Belgrade, Serbia, in ECE and MATH. Now he serves as the Senior Advisor to Maxeler Technologies in London, UK. His research is mostly in datamining and dataflow computing, with the emphasis on mappings of algorithms onto architectures. His co-authored paper on matrix multiplication for dataflow received "The IET Premium Award for 2014" (meaning the single best paper in IET Computing for 2012 and 2013). He is a Fellow of the IEEE and a Member of Academia Europaea. He has over 40 IEEE journal papers, over 40 other SCI journal papers, over 400 Thomson-Reuters citations, and about 4000 Google Scholar citations.